Nazareth, Symbol and Reality of the Kingdom of the Divine Fiat. Hidden Life. The Depository, Source and Perennial Channel. Most sweet Mama, here I am again at your maternal knees, as I find You together with the little child Jesus; and caressing Him, You tell Him your love story, and Jesus tells You His. Oh! how beautiful it is to find Jesus and the Mama speaking to each other. And the ardor of their love is so great that they remain mute – enraptured: the Mother in the Son, and the Son in the Mother. Holy Mama, do not put me aside, but keep me with You, so that, in listening to what You say, I may learn to love You and to do always the Most Holy Will of God. Dearest child, O! how I longed for you in order to continue my lessons on the Kingdom which the Supreme Fiat extended ever more within Me. Now, you must know that for your Mama, for dear and sweet Jesus, and for Saint Joseph, the little house of Nazareth was a Paradise. Being the Eternal Word, my dear Son possessed the Divine Will within Himself, of His own virtue; immense seas of light, of sanctity, of joys and of infinite beauty resided in that little Humanity. I possessed the Divine Will by grace; and even though I could not embrace immensity, as did beloved Jesus – because He was God and Man, and I was always His finite creature – yet, in spite of this, the Divine Fiat filled Me so much, having formed Its seas of light, of sanctity, of love, of beauties and of happinesses; and the light, the love and everything that a Divine Will can possess, which came out of Us, were so great that Saint Joseph remained eclipsed, inundated, and lived of our reflections. Dear child, in this house of Nazareth, the Kingdom of the Divine Will was in full force. Every little act of ours – that is, working, starting the fire, preparing the food – were all animated by the Supreme Volition, and were formed on the solidity of the sanctity of pure love. Therefore, from the littlest to the greatest of our acts, immense joys, happinesses and beatitudes were unleashed. And we remained so inundated as to feel ourselves as though under a pouring rain of new joys and indescribable contentments. My child, you must know that the Divine Will possesses, by nature, the source of joys, and when It reigns in the creature It delights in giving, in each one of her acts, the new continuous act of Its joys and happinesses. O child! how happy we were. Everything was peace, highest union, and each of us felt honored in obeying the other. My dear Son also competed in wanting to be commanded by Me and by dear Saint Joseph in the little jobs. Oh! how beautiful it was to see Him in the act of helping His foster father in the smith-work, or to see Him take food. But how many seas of grace did He let flow in those acts for the good of creatures? Now, dear child, listen to Me: in this house of Nazareth, the Kingdom of the Divine Will was formed in your Mama and in the Humanity of my Son, to make of It a gift for the human family, when they would dispose themselves to receive the good of this Kingdom. But even though my Son was King and I was Queen, yet We were King and Queen without a people. Our Kingdom, though It could enclose all and give life to all, was deserted, because Redemption was needed first, in order to prepare and dispose man to come into this Kingdom so holy. More so, since It was possessed by Me and by my Son, who belonged to the human family according to the human order, as well as to the Divine Family by virtue of the Divine Fiat and of the Incarnate Word, and therefore creatures received the right to enter into this Kingdom. And the Divinity gave the right, and left the doors open to those who wanted to enter. So, our hidden life of so many years served to prepare the Kingdom of the Divine Will for creatures. And this is why I want to make known to you what this Supreme Fiat operated in Me, so that you may forget your will, and as you hold the hand of your Mama, I may lead you into the goods which, with so much love, I have prepared for you. Tell Me, child of my Heart, will you make Me content, and also your and my dear Jesus, as We await you with so much love in this Kingdom so holy, to live together with Us, and to live only of Divine Will? Now listen, dear child, to another trait of love which my dear Jesus made for Me in the house of Nazareth: He made of Me the depository of the whole of His life. When God does a work, He does not leave it suspended, or in the empty space, but He always looks for a creature in whom to be able to enclose and place the whole of His work. Otherwise, there would be the danger that God might expose His works to uselessness – which cannot be. Therefore, my dear Son placed in Me His works, His words, His pains – everything. He deposited even His breath into His Mama. And when, withdrawn in our little room, He would speak sweetly and narrate to Me all the Gospels He was to preach to the public, the Sacraments He was to institute, He entrusted everything to Me; and depositing everything in Me, He constituted Me perennial channel and source, because His life and all His goods were to come from Me for the good of all creatures. Oh! how rich and happy I felt in feeling that all that my dear Son Jesus did, was being deposited in Me. 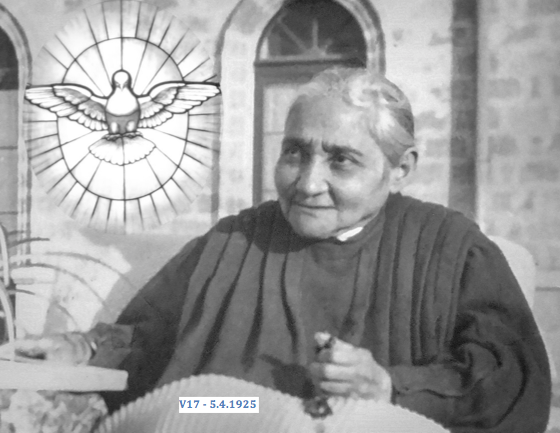 The Divine Will which reigned in Me gave Me the space to be able to receive everything, and Jesus felt the requital from His Mama of love and glory of the great work of Redemption. What did I not receive from God, because I never did my will, but always His? Everything; even the very life of my Son was at my disposal; and while it remained always in Me, I could bilocate it, to give it to whomever would ask Me for it with love. Now, my child, a little word to you. If you do always the Divine Will and never your own, and you live in It, I, your Mama, will make the deposit of all the goods of my Son in your soul. Oh, how fortunate you will feel – you will have a divine life at your disposal, which will give you everything. And I, acting as your true Mama, will put Myself on guard, so that this life may grow in you, and form in you the Kingdom of the Divine Will. Holy Mama, I abandon myself into your arms. I am a little daughter who feels the extreme need of your maternal cares. O please! I pray You to take this will of mine and to enclose it in your Heart. Never give it to me again, that I may be happy to live always of Divine Will; and so I will make You and my dear Jesus content. 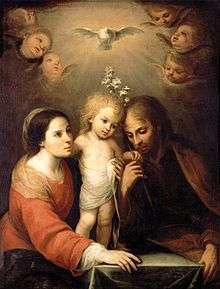 Today, to honor Me, you will come to make three little visits in the house of Nazareth to honor the Holy Family, reciting three Pater, Ave, Gloria, praying us to admit you to live in our midst. Jesus, Mary and Joseph, take me with you to live in the Kingdom of the Will of God.